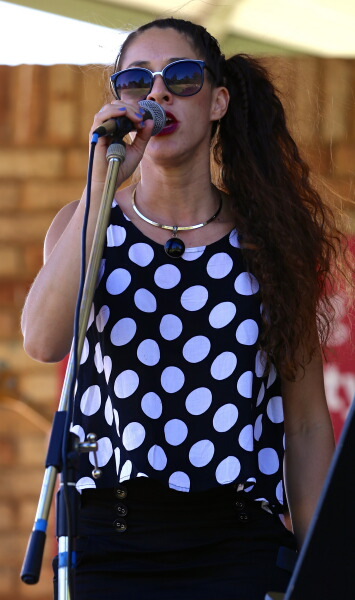 The Hills Big Band were pleased to have another opportunity to jump on stage at The Ellington Jazz Club, on 8 July 2015. The date is 8 March 2015. Stirk Park is a gorgeous place to be. The weather is warm, a gathering of people are picking out cooler spots on the grass in the shade. Some people have brought deckchairs to sit on, others blankets, some with coffee and cake. 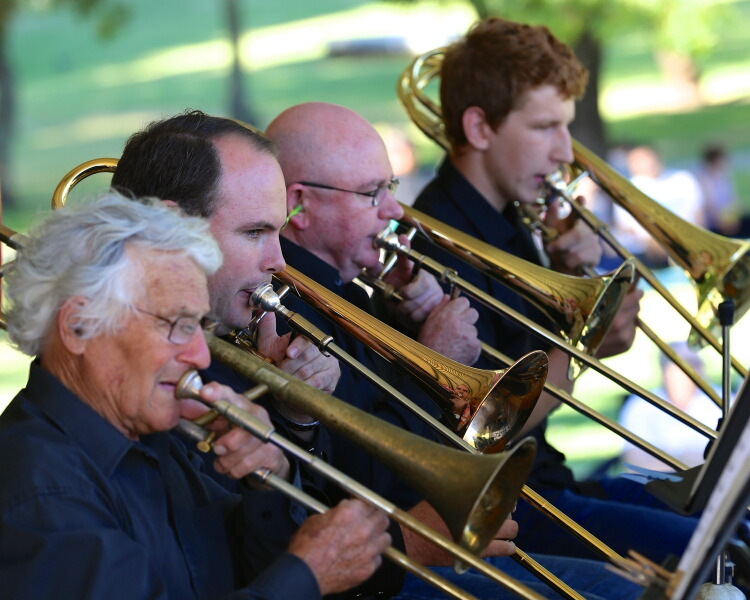 The Hills Big Band sets up in the soundshell, and kicks off with some laid-back jazz. 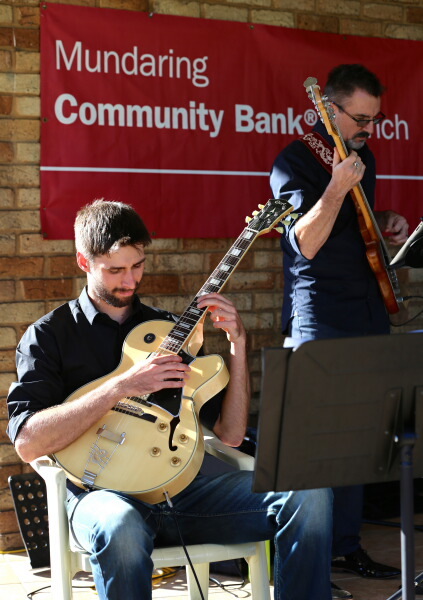 The band laze through some favourites. 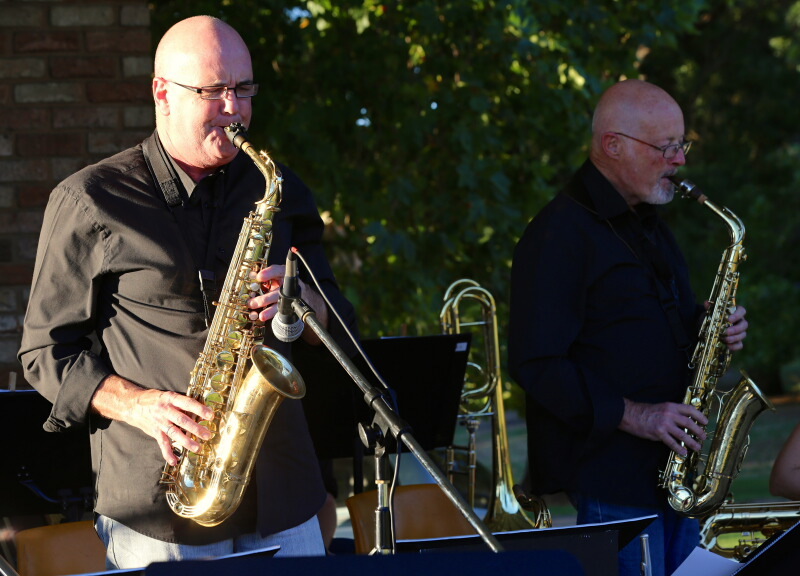 Simon Styles standing in on lead alto sax (left), and Arthur Robinson on second alto (right). And, as usual, there was a "note fight"! Thankyou to the wonderfully supportive group of people who came to the most recent concert, and the last one for 2014, at The Ellington Jazz Club on the evening of Tuesday December 2. 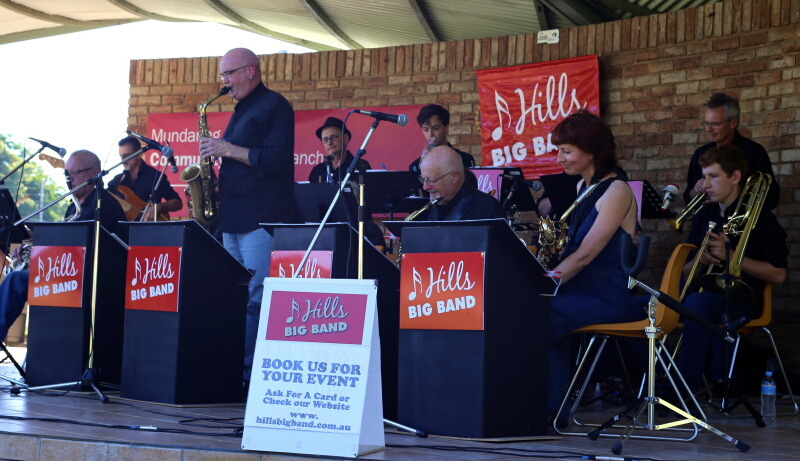 As promised, the Hills Big Band filled up the stage with armfuls of different instruments, and presented two sets of "real" big band music. Some hits of the evening were "Night and Day", "Come Fly With Me" and "Alright Ok You Win" featuring vocalists Lenny Twigg and Mel Whisson. The repertoire for the evening covered latin, swing, pop, blues and even the funky number "Only So Much Oil In The Ground" by Tower of Power. Steve Martin played a pure and innocent solo trombone, escaping the clutches of the salacious saxophones in "A Country Boy", and Jes Grey featured on tenor saxophone; "In a Sentimental Mood". 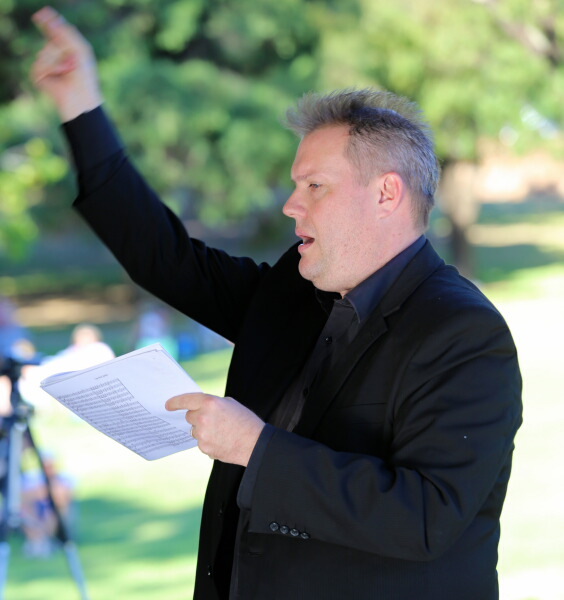 The audience and band were amused by Musical Director Kieran Hurley's fondness for all things Bond (but perhaps only up to and including Sean Connery's last film as the legendary secret agent). We were treated to a brief introduction to the various instruments in the band, courtesy of Kieran, with particular reference to the trombone. Kieran let us in on the big secret of where the trombone sits amongst all other instruments, due to its grace and intelligence and despite its resemblance to garden irrigation equipment. Who would have thought? 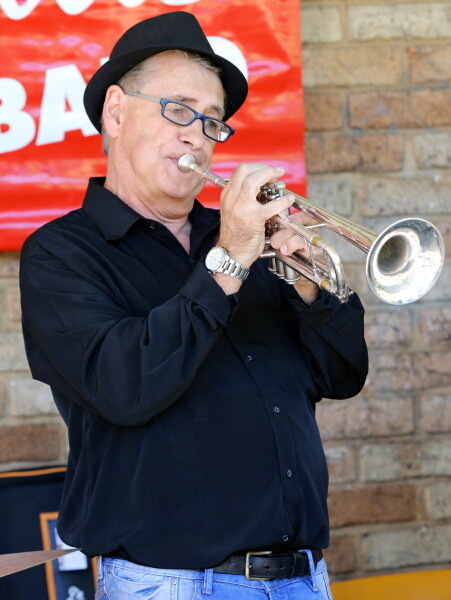 The performance was also a celebratory last concert for Arthur Robinson, as he leaves the Hills Big Band to concentrate on many other creative endeavours. But we reckon he'll be back! 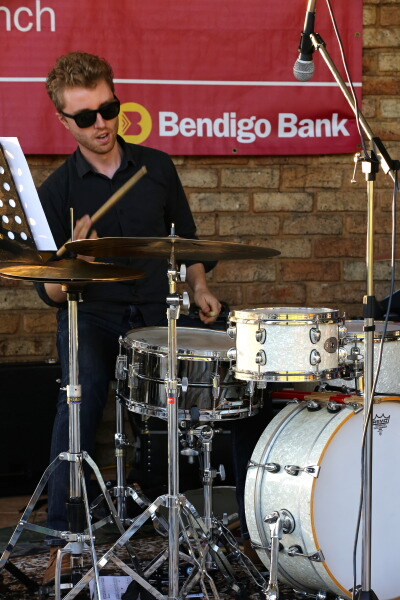 The Hills Big Band played on Sunday evening, 23 November 2014, at the Jazz Fremantle headquarters (64 High Street) to an enthusiastic audience. 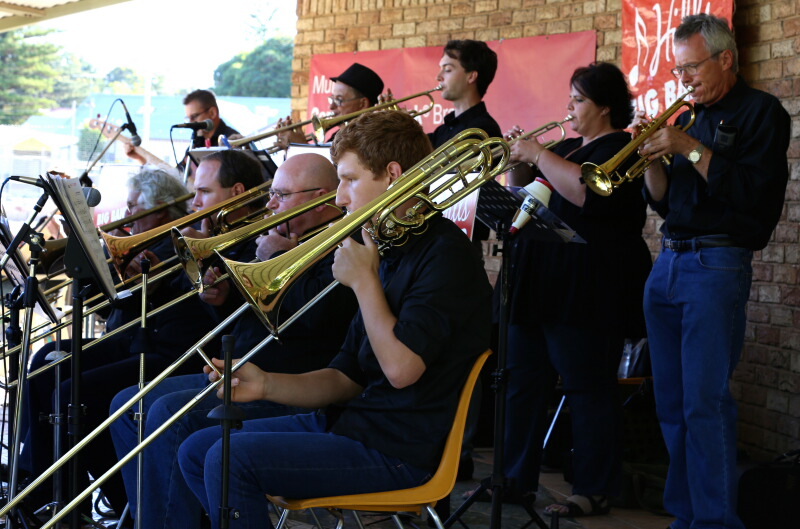 The next public performance of the Hills Big Band will be at Jazz Fremantle (Inc) on Sunday 23 November.